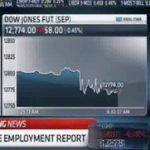 From Mediaite: The latest jobs report is here, and it’s unfortunately not too optimistic. June saw only 80,000 new jobs created, while the unemployment rate stayed steady at 8.2 percent. Reports Mediaite, “On Friday morning, the Bureau of Labor Statistics released the much anticipated June jobs… Private payrolls increased by 84,000 jobs while manufacturing jobs expanded by just 11,000. 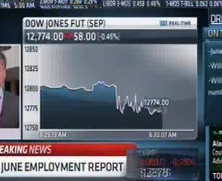 April’s jobs report was revised down by 9,000 jobs while May’s disappointing report was revised up by 8,000 jobs. The report is an improvement on May’s numbers but not enough to suggest that the jobs market is coming back. Last month, the unemployment rate rose to 8.2 percent on the back of that weak jobs report. Economists told Dow Jones Newswires that they expected between 90,000 and 100,000 new jobs to be added to America’s payrolls in June.” Read the full article here. From Gossip Cop: Are they? Aren’t they? Celebrity couple Selena Gomez and Justin Bieber are rumored to be off again these days, however stepped out publicly together amid growing tabloids about their rocky relationship. Reports Gossip Cop, “Justin Bieber and Selena Gomez stepped out on Thursday for a conspicuous dinner date, hours after reports emerged that the couple was going through a rough spot. The public display of affection was captured by photographers outside the Pink Pepper restaurant in Hollywood. When questioned about his relationship status, Bieber is said to have told the gathered paparazzi, ‘What does it look like?’ Earlier in the day, TMZ reported that that the duo had broken up ‘multiple times in the last few months’ and were currently ‘on the rocks. '” See pictures of their date (and read the story) here. From Geekosystem: Will there be a new brand of smartphone on the market soon? 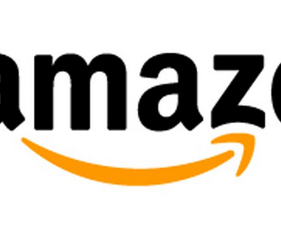 If the rumors are true, there will be, and it will be from Amazon. 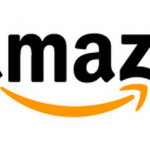 Reports Geekosystem, “According to Bloomberg, Amazon is working with Foxconn — the Chinese company better known for making iPhones, iPads, and alleged human rights abuses — to create a handheld device. In their report, Bloomberg says they heard this story from not one, but two unnamed sources. What’s more, these anonymous tipsters went on to say that Amazon is preparing for its handheld foray by buying up patents. The patent purchasing is somewhat confirmable, as Amazon hired Matt Gordon to head up patent acqusition. Bloomberg notes that Gordon not only had an impressive resumé, but 35,000 patents. These could, hypothetically, be used to defend Amazon from the patent war which is part and parcel of the modern smartphone business.” Read more here. From Styleite: Which country in the world buys the most luxury handbags? The United Kingdom! Specifically, English ladies. Reports Styleite, a “study, which examined eight countries in Europe, Asia, and the Americas, found that for every 1,000 world wide interweb users in the UK, there were 422 searches were for expensive handbags. That means the British are some real purse fiends. The US came in second at 315 searches per 1,000 users, and Italy was third at 196. Coach is the most-searched brand globally, followed by Louis Vuitton, Chanel, Gucci, and Longchamp. The Hermès Birkin was the most-searched individual bag. HuffPost Style guesses that one of the reasons posh bags are such hot items is that, in this economy, women are looking for luxury items that they will be able to get a lot of use out of, instead of frivolities like $75,000 tea cups and $400,000 shirts. And we have to say, if we could only have one luxury fashion item, it would probably be a bag. They can elevate an entire look, and you really do get what you pay for when it comes to quality.” Read about the study here. From SportsGrid: Good guy David Beckham isn’t playing nice, apparently. 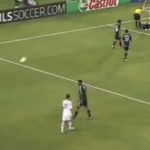 The soccer star has received a one-game suspension for kicking a ball at an injured player. Reports Sportsgrid, “This incident came from a June 30 match between David Beckham’s Los Angeles Galaxy and the San Jose Earthquakes. In the waning moments of the game, with Beckham’s team down a goal, a San Jose defenseman goes down with an injury. While diving and time-wasting is pretty rampant at the end of matches, this appears to be a legitimate injury. Beckham though, who may have been frustrated with the result of the match, or may have been frustrated with the recent announcement he was left off Britain’s Olympic soccer squad, took out some frustration in the form of punting the ball at the downed player. The MLS announced today that it has decided to suspend Beckham one game as a result of his actions.” Read the whole story here. From The Mary Sue: Sailor Moon fans, rejoice! There’s a new project to look forward to headed your way. 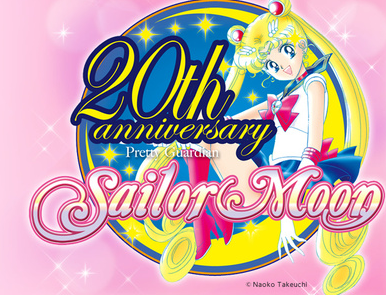 Reports The Mary Sue, “In 1992, the celebrated Pretty Guardian Sailor Moon anime debuted in Japan… The series would eventually explode across the globe, resulting in five major story arcs, stage musicals, live action series, and countless pieces of iconic merchandise… Now, twenty later, creator Naoko Takeuchi has announced that we don’t have to put away our plastic moon scepters just yet–the series will return with a new anime debuting in the summer of 2013. 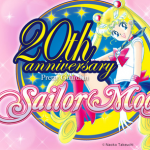 On the morning of July 6th, Sailor Moon fans who tuned into Japan’s premier video sharing site, Nico Nico, for the 20th anniversary talk featuring pop band Momoiro Clover Z, were pleasantly surprised with the news that Takeuchi and Kodanshi Comics already have a new series in the works. Kodanshi editor Fumio Osano has confirmed that the new project will not be a film, but a serialized anime. They have yet to release any details beyond its existence.” Read more about it here. 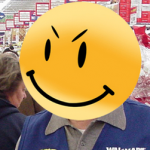 From The Jane Dough: How did Walmart, retail giant, deceive everyone into thinking it is diversity-friendly and “lady-friendly?” Reports The Jane Dough, “Late last month, the Network of Executive Women named Walmart’s CEO, Mike Duke, among the most progressive leaders in business, awarding him with a ‘hall of fame’ prize for his dedication to promoting women into leadership roles. Yes, you read that right. And, in a recent item for the Huffington Post, National Organization of Women President Terry O’Neill responded to the news pretty much as you’d expect — with a huge ‘WTF?’ Okay, not literally. But her post summed up what I’d imagine is the most logical reaction to the news: Why on earth did the CEO of Walmart — A.K.A. 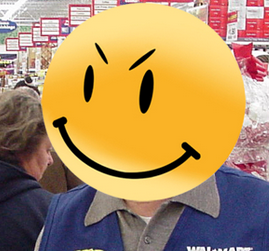 Satan’s Safeway — just get an award for diversity?” Find out why, how, and just how fair Walmart really is here. From The Braiser: President Obama’s, whose wife’s platform is a healthy lifestyle, is often criticized for his junk food habits. While is why his recent public vegetable-buying is making headline news. Reports The Braiser, “It’s no secret that Barack Obama’s kryptonite is cheeseburgers, and that Michelle must constantly remind him that it is a Sometimes Food. 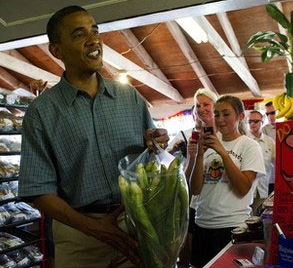 That’s why Obama Foodorama was shocked… to see Obama make an unscheduled campaign stop at the Bergman Orchards Farm Market in Port Clinton, Ohio. And Michelle was nowhere in sight. What a twist! …’The last time Mr. Obama visited a Farmers Market was ahead of Halloween 2011, when he dropped by a Virginia farm stand to purchase some pumpkins, accompanied by his wife.’ But he actually bought people food: ‘a dozen ears of sweet corn, peaches, strawberries and cherries, for a total bill of $22.70,’ to bring home to his family at the White House this weekend. Read the story here.